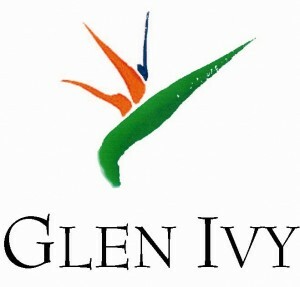 Giveaway: Glen Ivy Hot Springs Giveaway Winner! Congrats, Victoria! You have a full day of relaxation and pampering ahead of you and I have no doubt that you will enjoy your Glen Ivy spa package. Have a great time! Giveaway: A Day of Paradise at Glen Ivy Hot Springs! Without a doubt, I’ve never been so excited about a giveaway. Why? Because I’m already jealous of whoever wins this contest! If you’re from Southern California, there is a good chance you’ve heard about Glen Ivy Hot Springs in Corona. Perhaps you’ve even had the pleasure of enjoying an afternoon relaxing in the mineral baths, saline pool, or had a spa treatment there as well. If not, let me tell you what you’ve been missing out on. I’ve been going to Glen Ivy Hot Springs for a few years now and, as you can obviously guess, I’m a big fan. Set in the gorgeous desert-like setting of Corona, California, Glen Ivy Hot Springs offers a beautiful oasis to relax, enjoy time with friends, and get pampered. From minerals baths, lounge pools, the bath house, dry saunas and mud baths to the Grotto experience and the extensive menu of spa treatments, there are plenty of ways to relax and take some much-needed time for yourself. In addition, Glen Ivy also offers a fabulous restaurant with fantastic menu options (my personal fave is the roast chicken and pear salad). There are very few body lotions that help my skin get through the very dry seasons we have here in Southern California. However, I’ve learned over the years that I can rely on Eucerin. Eucerin has been my go-to body lotion for many years so, needless to say, I was delighted when I was recently asked to review Eucerin’s Calming Creme and Calming Body Wash.
Over the past week, I have used both products twice a day. The Calming Body Wash, which is made of natural omega oils, helps leave my skin feeling much more silky and smooth after a shower. The product is fragrance-free, which the Dude appreciates (he helped me review these items), and is safe for very sensitive skin and children. The Eucerin Calming Creme, which is made of oatmeal and glycerin, is one of the best body lotions I’ve tried. This unscented lotion goes on easily and without any residue. It feels luxurious on my skin and I’ve noticed that I don’t need to reapply lotion as much throughout dry days. This product is also safe enough for those with sensitive skin and for children ages 2 and up. I’ve been incredibly impressed with both Eucerin products, so I’m thrilled to be able to share these products with one lucky reader. Please leave an additional comment per entry. This giveaway is open to U.S. Residents only. The giveaway will end on Tuesday, March 1st and the winner will be announced on Wednesday, March 2nd. 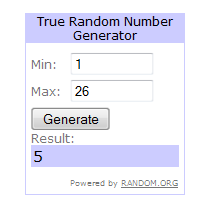 I will select a winner via www.random.org. FTC Disclaimer: Any ideas or opinions expressed in this review and giveaway are mine and have not been influenced by free products or compensation. I received one Eucerin Calming Creme and one Eucerin Calming Body Wash for review. I was not otherwise compensated for this review.